Photos with Santa: Saturday, Dec. 2nd ~ PRE-REGISTER today! WANTED: Santa Claus “Impersonator” for a FUN-Filled Photo Shoot! It is with a heavy, burdened heart that I write to you today, along with my Mom (beloved “Mrs. Claus”), to notify you that my Dad (beloved “Santa Steve”) passed away earlier this year. His death came quite unexpectedly, following a very negative reaction to a new treatment for Chronic Lymphocytic Leukemia (CLL), which began early last summer. We were by his side as he left us on Saturday, May 26, 2018. He had just celebrated his 71st birthday in February. Mom and Dad were happily married since November 14, 1970. And I have happily been their adoring daughter since the day they brought me into this world three years later. It is from both of these two that I learned to love and have deep compassion for all creatures, great and small. I have tried to sit down and write this message to all of you so many times already…but it has been quite difficult to put into words that we will no longer be able to carry on the annual tradition of photos with Santa that we have all come to love and mark on our calendars. So many of you have enjoyed this tradition with us since we began in 2004, and we thank you sincerely for being there with us year after year. The three of us as a team always looked forward to seeing you all on that one day in December. Those are memories and friendships we will forever hold dear. Santa Steve loved you all – and probably your pets even more! Because I know – and most of you know as well – that I’ll never find another to fill Dad’s shoes in this roll, it became clear to me that it is time to reluctantly face the end of an era. 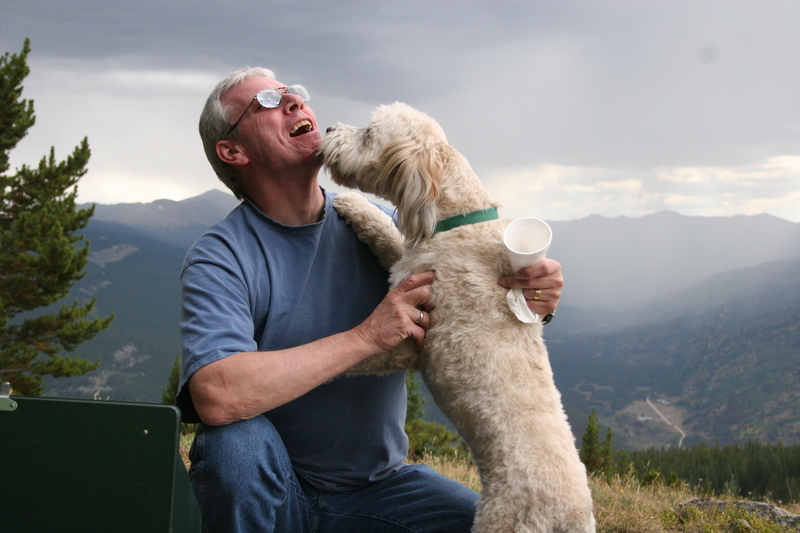 Many of you also know by now that Pet Outfitters has closed its doors…in the same month that Dad left us this year. We appreciate more than you know the opportunity to celebrate the holiday season with you for 12 years running. For those of you who would like to reach out to Mom in this difficult time, she would love to hear from you. I would gladly provide her mailing address to those of you who request it. We appreciate and love you all, and wish for you and your families all the best this coming Holiday Season and beyond. He is free and has begun his next amazing journey. says it’s way too soon to say good-bye to my Hero. doing the great work you need to do. Receive updates on my travels and upcoming events, keep in touch with Bub and Mr. Skeeto, share an occasional delicious recipe, and more! Thank you for joining me today!